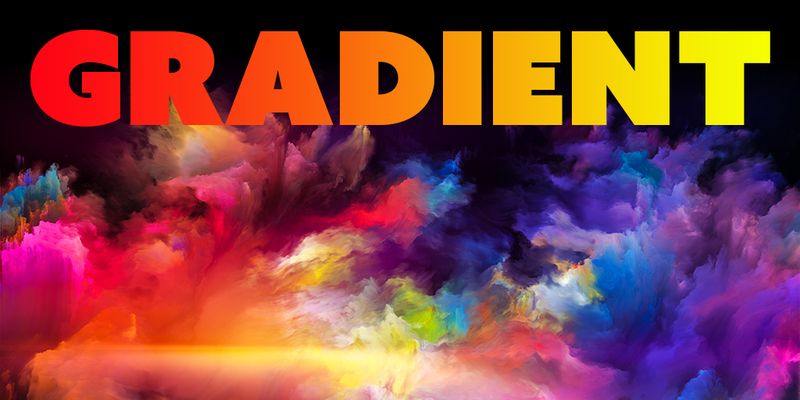 Making gradient text with Adobe PhotoShop may not seem as intuitive as it could be. As I have the Adobe Creative Cloud, my tutorial will specifically show how to make gradient text using PhotoShop CC 2015, but it works similarly with other versions of Adobe PhotoShop. If you haven’t already done so, first add text. One way to add text is to use the Horizontal Type Tool on the toolbar. With the text layer selected and the type tool selected, adjust the font style and size to your liking in the top toolbar. Set the foreground and background colors in advance. One way to adjust these is to click the Set Foreground Color or Set Background Color tool on the toolbar. Alternatively, you can choose from one of the default gradients or a gradient that you have saved previously. To create gradient text, right-click on the text layer from the list of layers at the right. Choose Blending Options at the top of the list. Find Gradient Overlay on the left side of the pop-up. Don’t check the box. Instead, click the + button. Now the Gradient Overlay options will appear on the right side of the pop-up. Click on the dropdown menu next to Gradient. You can select the simple two-color gradient using the foreground and background colors, or you can choose one of the default gradients or a gradient that you’ve added previously. You can also adjust other options, such as Style and Angle. When I turned on my Kindle Paperwhite today, I received a nice surprise. It automatically downloaded an update: version 5.6.5. When it finished, a note popped up describing new Kindle typesetting improvements. This is a cool development because Kindle typography has been very limited. 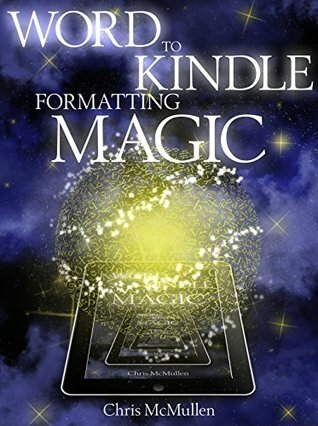 The new Kindle typesetting has appeared on various devices over the course of the past several weeks. This is the first time I found a note with the update. Kindle introduced the new Bookerly font. I opened a page where the justification was quite poor, and changing the font to Bookerly. The justification improved tremendously. Justification is supposed to be improved. I didn’t really notice this except with the Bookerly font, though maybe I just don’t have one of the books that fully benefits from the new typesetting engine. There is supposed to be improved spacing and improved character positioning. The Bookerly font may be more Kindle-kerning friendly. One of the new features is hyphenation, which has me concerned. For weeks, I’ve read about Kindle hyphenation that doesn’t hyphenate in the proper breaking positions. However, the note that came with the new typesetting engine claims that it will hyphenate properly. I haven’t yet seen a hyphen, though I checked out several books. So I’m hopeful, but waiting to see it firsthand before I get too excited. There is supposed to be more natural spacing and more words per page (so less clicking or swiping to paginate). Drop caps are supposed to be much improved. I opened every book on my Kindle and downloaded many recommendations and top sellers from Kindle, yet I didn’t see one drop cap. That’s because most e-book formatters have learned to shy away from the drop cap because of formatting problems they’ve discovered in the past. If you happen to know a book that has drop caps that was likely to be among the first to adopt the new typesetting engine, please suggest it in the comments. I’d love to check it out. Another feature was a smart card with smart lookup, which works with the dictionary, Wikipedia, and x-ray. These are great ways to improve vocabulary and comprehension, and to take notes or make flash cards. It’s also great for educational books. 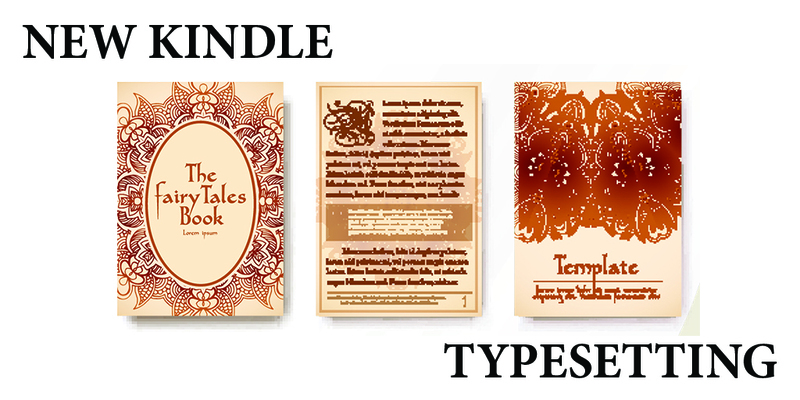 The note said that it had changed the order of my books on my device, showing those with enhanced typesetting first. However, when I checked my book list, the order appeared unchanged. First on the list was a book from 47North, one of Amazon’s own imprints. Yet I didn’t notice the new typesetting features (except for the cool Bookerly font) with this book or any other book that I downloaded today. If you happen to know of a book that definitely works with the new typesetting features, especially one that includes drop caps (but it’s okay if it doesn’t), I’d love to check it out. Have you received a similar update on your device? Which device? Have you noticed the new features? What do you think of them? How about an * Optional * Pages Read for Sales? Authors set one list price for outright purchase, just as usual. No change to this. Authors also set an optional price per page. Emphasis on authors getting to choose this. List price = $2.99. Customers can buy the book for $2.99. Optional price per page = 3 cents per page. Customers can choose this option instead of buying the book. Remember, in my proposal, the author gets to choose this price. Buy the book for $2.99. Customer can read as little or as much of the book as desired. Pay 3 cents per page (re-reads of pages already read are free). Just pay for how much you read. If you read the whole book in my example, this will cost you $4.50, but you could have just bought the book outright for $2.99. In my proposal, the author receives the usual royalty rate, 35% or 70%, the same as for sales (though the delivery cost has to be factored in somehow for the 70% plan, maybe divide the delivery charge for the book by the number of pages and subtract this from the per page royalty). So, in my example, the author earns more if (A) the customer chooses to pay by the page and (B) the customer eventually reads the whole book. This might impact reference books and cookbooks, for example. These are books where customers sometimes only need to read part of the book now. Maybe they will want the rest later, maybe not. Let’s say the customer doesn’t want to pay the list price for the whole book. If pages read isn’t an option, the customer will walk away. If so, it’s a lost sale for the author. Would the author have been willing to set a per-page price so that the customer could read, say, just Chapter 4? Maybe if the author could set a high enough per-page price, the author would be okay with this. It’s better than nothing, right? And the transaction improves the book’s sales rank, a nice little perk. It might impact fiction, too. With the option to pay for pages read, even though you might spend more when reading a whole book, it gives you some flexibility to try a book out that you’re strongly interested in, but don’t want to commit to for its list price. Based on the Kindle Unlimited model, Amazon seems interested in tracking customer engagement. They are probably measuring pages read for sales, even though it presently only matters for borrows. It’s possible that in the future visibility on Amazon will be based in part on successful customer engagement (i.e. getting a higher percentage of pages read). That’s purely speculative. I have no reason to believe that’s in place now, nor have I heard that it’s coming. But it is possible, isn’t it? It wouldn’t be good for some types of books, like reference books and cookbooks. But that doesn’t mean it won’t happen. Heck, they could change the payout for sales to a pages read scheme and not even make it optional. Amazon determines the rules, right? Presently, pages read doesn’t impact paid sales in any way. It’s only for Kindle Unlimited and Amazon Prime borrows. I haven’t heard anything to suggest that it might change, so don’t panic. I’m just curious. What you do you think about this idea? As an author, or as a reader. To be honest, I’m not even sure if I’m in favor of it or against it. I am curious about it, though. I’ve discovered a few cool math websites recently, and thought I would share them. I enjoy math and blogging, but see that they’re not so easy to find. If you know of any others, especially here at WordPress, I’d love to check them out. I discover a good variety of math-related posts at Mathemagical Site, from fun puzzles to math history to math puns. I enjoy it all. I love pi, too! If you browse through older posts, you can find a lot of amazing 3D (and even 4D) geometric shapes. It’s a geometry lovers’ paradise. Back in 2D, you can find some cool tessellations, too. There is a unique series of math puzzle here where you have to place the numbers 1 thru 12 in the top row and the left column, using logic and the basic principle of logic. If you’re having trouble getting started, check out the hints. 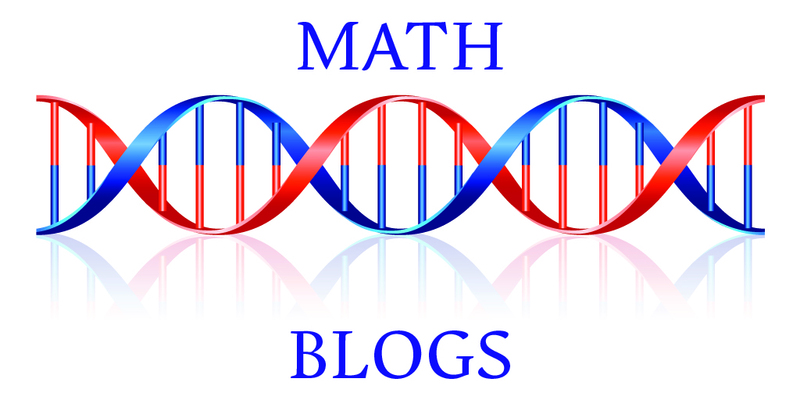 If you didn’t know I had a math blog, now you do. 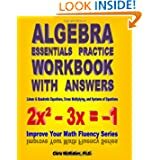 It’s called Improve Your Math Fluency (same name as my series of math workbooks, only I blog about a variety of math topics). 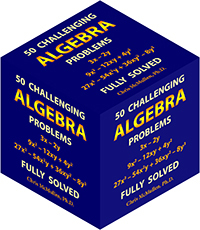 If you know of any more good math blogs, please share them. I’d love to check them out. 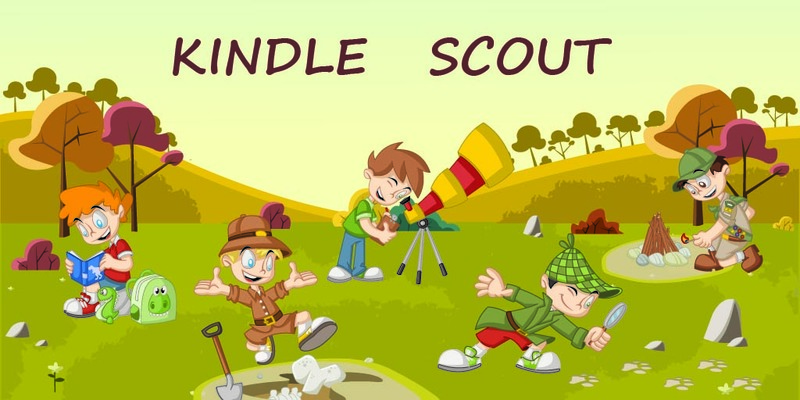 Since KDP introduced Advertising Marketing Services (AMS) for KDP Select books earlier this year, I’ve placed 50 ads on a variety of nonfiction Kindle e-books. I’ve also placed over a dozen ads with Goodreads. It’s interesting to compare the two options for advertising e-books. Many of the customers who see your ad are already shopping for other books, i.e. they are looking for books to read, they have their wallets out, and they are ready to spend money. Since they are already on Amazon, your ad isn’t interrupting some other activity and trying to persuade customers to leave one site to visit another. If you advertise at Goodreads with a link to your Amazon product page, you’re asking readers who were busy doing something else at Goodreads to stop what they were doing and visit another site all together. 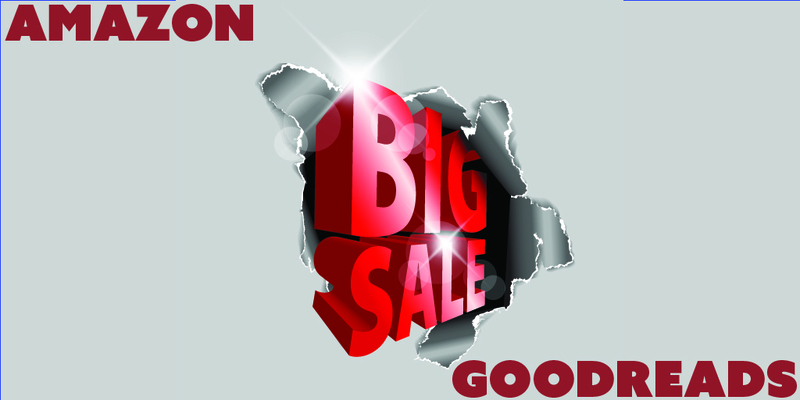 You could instead advertise at Goodreads with a link to your book’s Goodreads page or a giveaway page, but if your ultimate goal is a sale, that’s an indirect way to go about it. However, the way the self-service advertising options are presently setup, Goodreads ads seem to have an advantage with branding. We’ll return to this important point later. The targeting options are considerably different with Amazon and Goodreads advertisements. Interest targeting competes for ads based on category. Amazon has recently improved interest targeting by adding subcategories. Some books do fall nicely into one of those subcategories, but those subcategories are still too broad for other books, especially in nonfiction. Product targeting lets you search for specific books or other products by keyword. Amazon has an advantage here, as Goodreads doesn’t offer keyword targeting, nor does Goodreads let you target specific books, nor does Goodreads let you target other products besides books (like movies). Goodreads also has categories to choose from, but these tend to be very broad. I prefer not to select any categories, but to target by author instead. Visit Amazon and search for very popular books that your specific target audience is likely to read. Then enter those author names at Goodreads to target readers of those authors. A great thing about Goodreads is that when you target specific authors, they will show your ad to Goodreads readers who have given those authors high ratings. Imagine if you could target customers at Amazon who rated similar books 4 or 5 stars. You have to love Goodreads for this option. I try to avoid other targeting options at Goodreads, such as gender, age, or country, since some accounts may not have selected an option. Advertising with AMS via KDP requires a minimum $100 budget. You’re not required to spend your whole budget: You can pause or terminate your ad at any time. But if you bid high, you could blow through your budget quickly without knowing it because the ad report sometimes has significant delays. I find that I can get very low-cost advertisements with effective results at Amazon. I have several ads with average CPC bids of a dime or less. In comparison, I find that I must bid much higher at Goodreads. My strategy with AMS is to bid very low in the beginning, and always wait at least 3 days before raising my bid, knowing that the ad report can be delayed. When I do raise my bid, I only raise it a little. I’m in no hurry, but after a few weeks, I finally start to generate impressions, clicks, and sales at a good rate, and my strategy minimizes my expenses (and lets me opt out before spending too much, if necessary). Both services charge by the click. Impressions are free. Click-through rates (ctr) can be quite low (clicks divided by impressions): You might get 0.1% (1 click for every 1000 impressions), which is typical of much online advertising these days. But the ctr doesn’t really matter, since those impressions are free. Every impression helps with branding; you only pay for clicks. While I often generate impressions at a good rate with AMS with average CPC bids of 10 cents or less, I often must spend 50 cents or more to generate impressions at a good rate at Goodreads. AMS seems better for generating sales directly, while Goodreads seems better for branding, generating activity at Goodreads (followers at Goodreads, getting on to-read lists), and generating interest in a Goodreads giveaway. That branding issue is big. Most companies who pay big money for advertisements don’t expect to generate immediate sales from it; they use advertisements to help with branding. When you drive by a billboard, see a commercial on television, or hear an advertisement on the radio, do you stop what you were doing and race over to the store to buy a product that sounds great? Probably not. But the next time you’re shopping for a product, see if you favor products you’ve heard of before. If so, branding has worked on you. And even if it didn’t work on you, it does work on the majority of consumers. It’s not easy to break even in the short-term from advertising. The bigger goal is long-term, through branding. 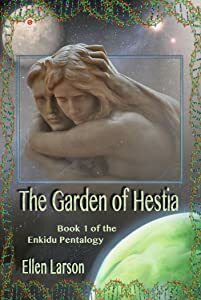 That said, I do have some advertisements through AMS that have paid for themselves or brought a profit short-term, and I have benefited indirectly through more sales of paperbacks, similar books, and Kindle Unlimited pages read. This is partly because I apply a low bidding strategy, and partly because these ads aren’t asking customers to stop doing one thing to start doing another (they’re already shopping for books on Amazon). But I also feel that I get better branding out of Goodreads, and this is an important long-term goal. However, you don’t want to lose too much short-term with branding hopes. Unlike AMS, it’s not as easy to gauge short-term ROI at Goodreads. You can see how much the ad is costing you, and you can see the clicks, but you don’t know how many of those clicks lead to sales. If you use AMS, you can find out what your conversion rate is (sales divided by clicks). If it’s around 1% to 3%, that’s pretty low; if it’s 8% or higher, that’s pretty good. But if you spend too much on your clicks, or draw a low royalty, you can still lose out even with a nice conversion rate. 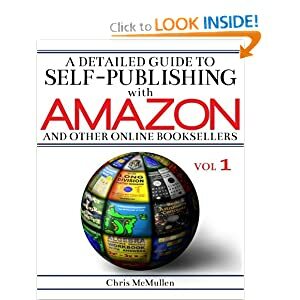 You want to look at your royalties earned compared to money invested, but also want to consider possible indirect benefits like Kindle Unlimited borrows, print sales, sales of similar books, and potential for future sales through branding. Both AMS and Goodreads let you enter a short tag line. This is text that will appear alongside your ad to help generate interest. Goodreads lets you enter a longer tag line. Put some time and thought into how to use this valuable advertising space. It can make a big difference. Advertising isn’t for all books. It probably won’t be the cure for a book that isn’t selling. There are many places to advertise on the internet. Ideally, you want to be able to target readers, namely your specific target audience. You want to generate impressions and clicks at a good rate, but with little cost. Some services, like Bookbub, E-reader News Today, and a host of similar sites, can help to advertise short-term promotional prices. In this case, the short-term promotion can help create a compelling impulse to buy now. But you need an external promotional service that can help your book reach its specific target audience to get the most out of this strategy. How Much Did Amazon Pay for Pages Read in July, 2015? Amazon KDP is paying $0.005779 per page read for KDP Select books in July, 2015. The payment for KENP is right on the money: almost exactly the expected $0.0058 per page read. A book with a KENPC of 100 pages earns $0.58 when read to 100%. A book with a KENPC of 400 pages earns $2.31 when read to 100%. A book with a KENPC of 700 pages earns $4.04 when read to 100%. Just multiply your KENPC by 0.005779. Of course, not all books are read to 100%. The new payout appears to favor longer books, but only when you compare the new payout to the old payout. If you forget how it used to be and ask yourself, “How long a book should I write?” it really doesn’t favor longer books. 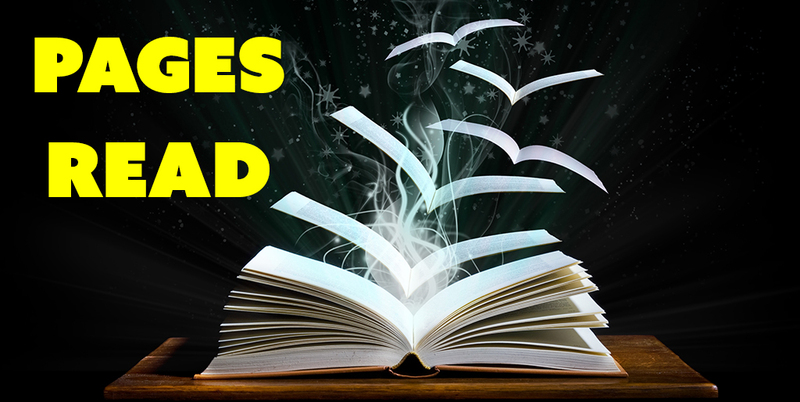 Whether you write 300 pages as a single book or 6 books, you get paid the same amount per page read. The only difference between short and long books is reader engagement. In which case are you more likely to get more pages read? Paying per page, the new system really favors reader engagement. 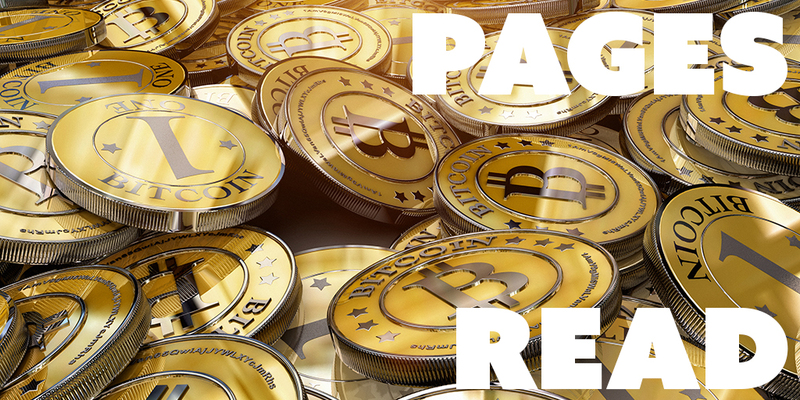 There were 1.9B pages read in June, 2015, which led to a prediction of $0.0058 per page, and now in July we find that the actual payout is almost identical to the prediction. Evidently, there wasn’t much abuse of the new system (or most of the attempts were caught red-handed). The old system suffered from ways to abuse the system, whereas the new system requires actually reading pages (and Amazon can surely catch attempts to fool the system). If there were significant abuse, the payout should have been significantly affected, but it wasn’t. The coming months will tell, but I take this as a positive indicator. Authors now expect to earn approximately $0.0058 per page when they enroll their books in KDP Select. With this strong expectation now reinforced by the first payout, I don’t expect this to change significantly in the future. Amazon has long paid about $1.30 to $1.40 per borrow, which translates to $0.0058 per page with the new system. This seems to be a steady-state solution. If you feel otherwise, all you need to do is wait a few months and time will show whether or not this is right. 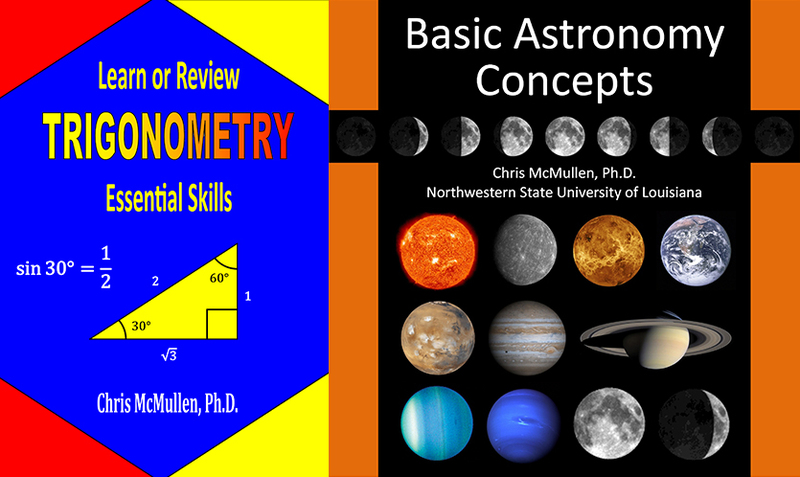 I have published some math and science e-books which are available through Kindle Unlimited. In fact, all of my Kindle e-books can presently be borrowed for free through Kindle Unlimited. But I’m looking for more books. I’d like to add a page to my website featuring math and science books on Kindle Unlimited, and not just my own books. It seems like this may be helpful for Kindle Unlimited subscribers looking for math and science e-books they can borrow for free. And it seems like it might provide a little exposure for authors of math and science books enrolled in KDP Select. 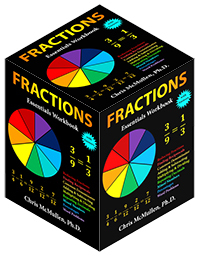 Are you an author of a math or science book that’s in Kindle Unlimited? If so, please leave a comment and include a link to your book (or at least provide the ASIN, or the title and author name, so that I can easily find it). Or you can use the Contact Me button on my blog if you prefer. I’d love to hear from fellow math and science authors in Kindle Unlimited, and include information about your books on my website. I received a pleasant surprise this morning. I clicked on the link mentioned in the tweet and found my original self-publishing book featured with one of four non-fiction books on the bookSCREAM page. I didn’t contact or approach bookSCREAM. I haven’t advertised my Countdown Deal anywhere. This is the first I’ve mentioned it just now. bookSCREAM discovered my Countdown Deal all on their own. bookSCREAM advertised my book promotion all on their own. I only discovered their advertisement after they had placed the ad. Very cool! Thank you, bookSCREAM. What’s the opposite of being rejected by BookBub? Being featured by bookSCREAM out of the blue. I was just testing out the Countdown Deals. My intention was to let it run unadvertised and see how it does. Partly, I was also testing out the lower price. 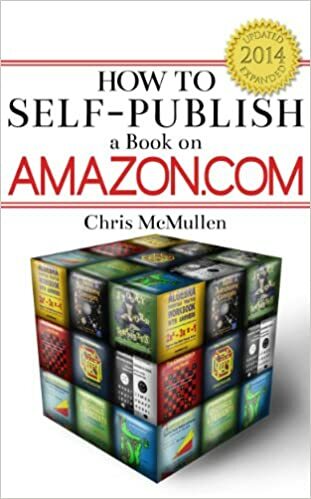 In the past, I haven’t had any success with 99 cents on any books (which is why you’ll find my Kindle e-books priced between $2.99 and $7.99, except for rare deals like this). Of course, you can find a ton of FREE information about self-publishing right here on my blog. But I thought I would test out lower prices with a few Countdown Deals to see if things may have changed recently. And that’s when I received this pleasant surprise from bookSCREAM. Unexpected free marketing for fellow authors is a great thing. It makes self-publishing better for everyone. If it happens to you, pay it forward. It’s about reading. All authors work together to inspire more quality reading.